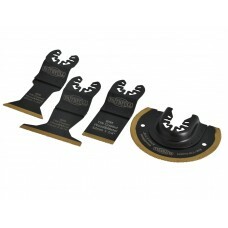 Bi-Metal Flush Cut TiN Coated Blades four piece set offers high performance and have a durable tita.. 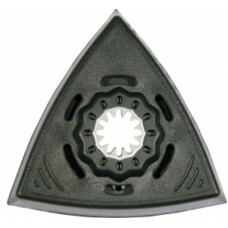 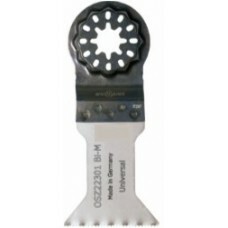 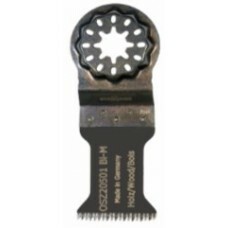 This flexible scraper is ideal for removing soft carpet adhesive residues, paint, silicone joints a..
STARLOCK Multi Tool Blade | OSZ001 TCG Blade Triangular Carbide Grit Delta Rasp. 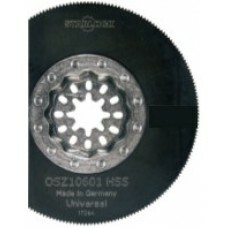 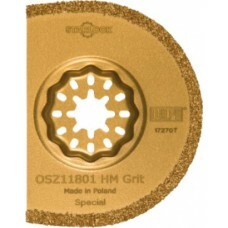 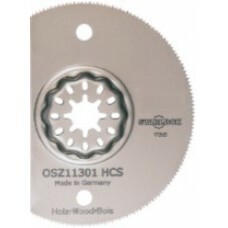 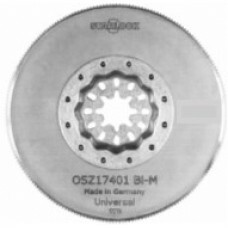 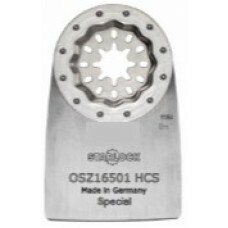 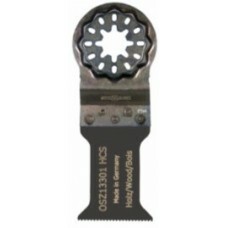 Edg..
STARLOCK Multi-Tool Blade | OSZ106 HSS Blade Segmented saw blade, ideal for working in corners wi..
STARLOCK Multi Tool Blade | OSZ113 HCS/CV Blade Segmented saw blade, ideal for working in c..
STARLOCK Multi-Tool Blade | OSZ118 TCG Blade Segmented saw blade with Carbide Gri..
STARLOCK Multi Tool Blade | OSZ126 Bi-Metal Blade Narrow-waisted blade for fast chip removal and ..
STARLOCK Multi-Tool Blade | OSZ133 HCS/CV Blade Narrow-waisted blade for fast chip removal and go..
STARLOCK Multi Tool Blade | OSZ136 Triangular perforated plastic sanding pad with Velcro to avoid..
STARLOCK Multi-Tool Blade | OSZ157 STARLOCK Multi Tool Blade | OSZ157 Bi-Metal Bladel narro..
STARLOCK Multi Tool Blade | OSZ160 Bi-Metal Blade Narrow-waisted blade for fast chip removal and ..
STARLOCK Multi Tool Blade | OSZ165 HCS/CV Blade Short flexible scraper for the removal of adhesiv..
STARLOCK Multi-Tool Blade | OSZ174 Bi-Metal Blade Circular saw blade. 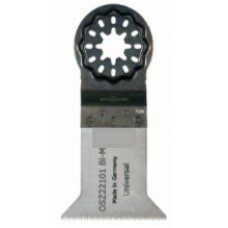 Diameter 85mm, precise clea..
STARLOCK Multi Tool Blade | OSZ184 Bi-Metal Blade Narrow-waisted blade with side set toothi..
STARLOCK Multi Tool Blade | OSZ205 Bi Metal Blade Narrow-waisted blade for fast chip removal and ..
STARLOCK Multi-Tool Blade | OSZ221 Bi-Metal Blade Wide saw blade with side set wood toothing, Lon..
STARLOCK Multi-Tool Blade | OSZ222 Bi-Metal Blade Narrow-waisted blade for fast chip removal and ..
STARLOCK Multi-Tool Blade | OSZ223 Bi-Metal Blade Wide tailored blade for fast chip removal and g..
Multi-Function Tool Blade Set contains a selection of the most popular blades for cutting wood, man.. 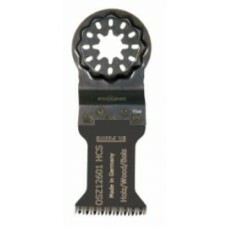 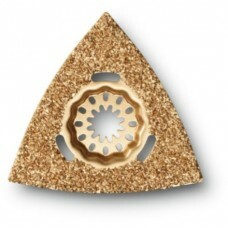 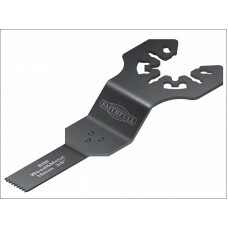 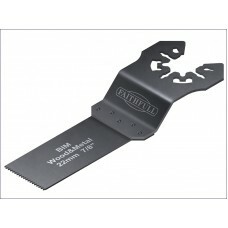 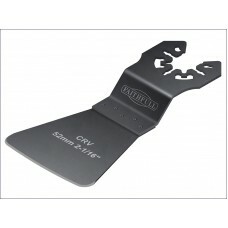 These Faithfull Multi-Functional Tool Flush Wood/Metal Blades have HSS wavy set teeth that make them..